“BIG difference” then you don’t state what is the big difference! 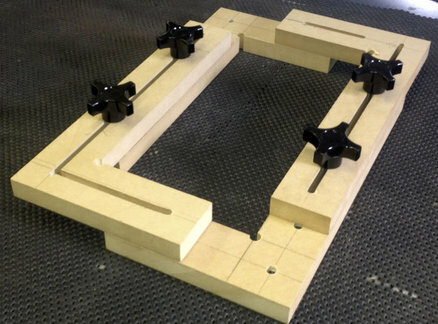 Jig or Fixture- this clamp works on box joints. super nifty to clamp any box together. fantastic idea, everyone needs one. 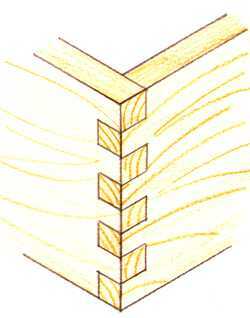 You may also want to look at this jig which is less complex and can be used on many different types of joints . You made not only functional jig, it actualy looks very nice. 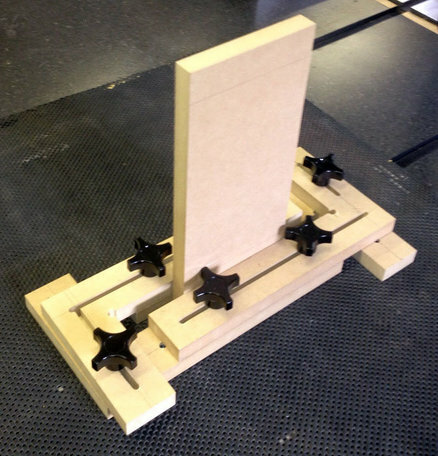 It looks like a great jig and clamp and will be a wonderful addition to your shop. That sure would tone down the panic when trying to apply glue, fit together, find cauls, find clamps, align cauls and clamps, tighten clamps, then check for square before the glue kicks in…. I like it. Not meaning to step on your project, but here’s my version.